Hi-Tech Duravent has been established as the largest hose and ducting manufacturer in the industry based on technology, utilization of advanced raw materials and a problem solving approach to the marketplace. While product development has been an integral part of our 50-year history, the key to our success is unparalleled service to our customers. Our vast array of resources, from sister companies to worldwide locations, has allowed us to continually expand our product line and utilize the most sophisticated research and design methods in the business. 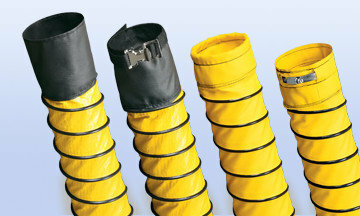 Today we offer the most comprehensive product line of flexible ductwork in the world. Many engineered polymers are being used today where steel and more restrictive materials were once used. By using these engineered polymers, we can offer some of the most advanced products in our industry. From chemical plants to woodworking shops, street sweeping to furnace cleaning, Hi-Tech Duravent offers a product with the right features and benefits for your specific use. 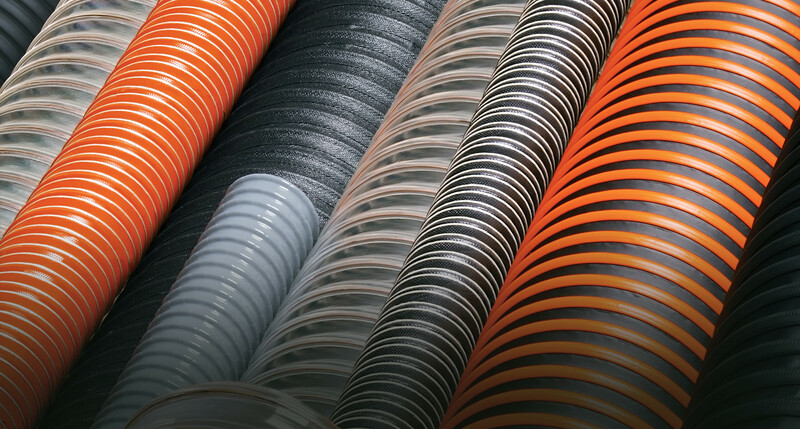 Hi-Tech Duravent’s core product selection features a wide array of hoses to meet most of your ducting needs. Guaranteed in stock and ready to ship out within 24 hours of your order. 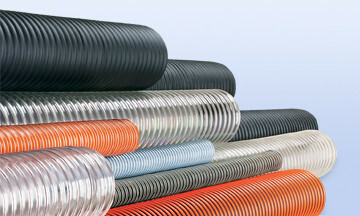 Hi-Tech Duravent’s line of flexible thermoplastic along with TPR hose and ducting products are a necessity for all of your air, dust, fume movement, and light material handling needs.